The Hallow's Eve Bowl Bash 2012 is around the corner. 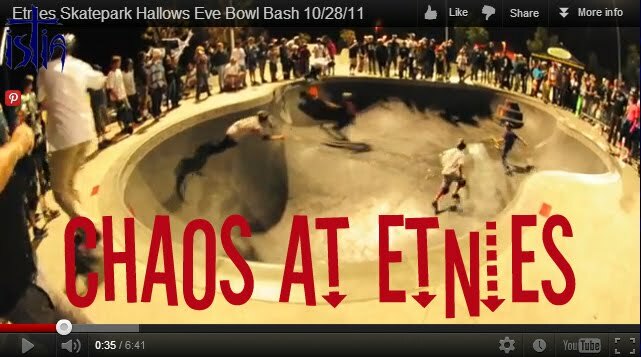 It is organized at Etnies Skate Park as a annual Hallow's Eve Bowl Bash and costume contest. This year, there will a best trick jam all ages and skills and a 20 minute session in the cradle zone. More information soon.